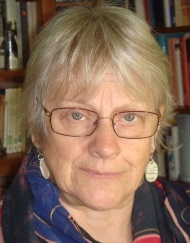 Professor Anne Watson has two mathematics degrees and a DPhil in Mathematics Education, and is a Fellow of the Institute for Mathematics and its Applications. She taught mathematics in challenging schools for thirteen years before becoming a teacher educator and researcher at the University of Oxford. For most of those years she used a problem-based approach. She has published numerous books and articles for teachers as well as researching mathematics teaching and learning. She has led seminars and run workshops for teachers and teacher educators on every continent. She advised on the new National Curriculum for mathematics and after retirement taught in a local school for a while to see if she still could and if the curriculum made sense; she could and it did – in parts!